It would surprise many Americans to know that former Nazi party members, SA and SS officers dominated the post-WWII German justice ministry through the 1950s and into the 1960s. Now on display at the Elliott School, a new exhibition,“The Rosenburg Files — The Federal Ministry of Justice and the Nazi Era,” reveals how the ministry handled its Nazi past and eventually came to terms with this open secret. 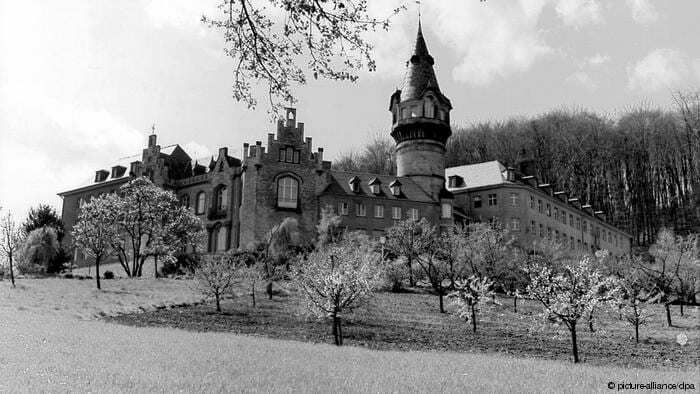 The Rosenburg Project was initiated in 2012 by the former federal German justice minister and undertaken by an independent team of researchers headed by historian Professor Manfred Görtemaker and legal scholar Professor Christop Safferling. 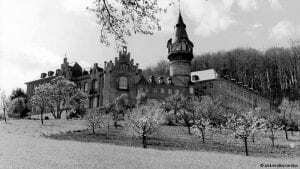 The exhibition title refers to the Castle Rosenburg near Bonn, Germany, headquarters of the German Ministry of Justice from 1950 to 1973. The multimedia art installation re-examines history through visual and auditory interactive displays, illustrating the degree of continuity between the past and present. Making its U.S. debut at GW, the exhibit already has been on display in Germany. We kick off the debut with a reception and keynote presentation by the current Minister of Justice Katarina Barley. The exhibit is free and open to the public from February 6 through March 15. It then moves to Harvard University and the University of North Carolina at Chapel Hill.